This dark and atmospheric black and white thriller, full of unexpected twists and turns, remains one of the most suspenseful and scariest films ever to come out of France. The film’s director Henri-Georges Clouzot had a chequered and often controversial career and was found guilty of collaborating with the Germans in WW2. He was banned from making films as a result and was only reinstated after a powerful group of fellow artists including Jean Cocteau and Jean-Paul Sartre appealed on his behalf. He made a handful of pictures in his career but Les Diaboliques, along with his other masterpiece of suspense - Le Salaire de la Peur (The Wages of Fear) - guarantee him a place in film history. Les Diaboliques (The Fiends) is based on the novel Celle qui n’etait plus by Boileau and Narcejac. It is rumoured that Hitchcock wanted to make the film and missed out on buying the rights by only a few hours. The writers would go on to collaborate with Hitchcock two years later on one of his greatest and strangest movies – Vertigo. The film is set in a boy’s school run by Michel Delasalle - the tyrannical head teacher played by Paul Meurisse. Delasalle is having an affair with one of the teachers - Nicole Horner and taunts his frail wife Christina with this fact. He is abusive to both women and when they form a pact and decide to kill him a weird and terrifying mystery begins. 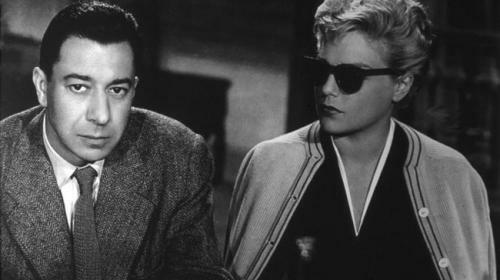 Clouzot’s wife Vera stars in Les Diaboliques as the tormented wife with a heart condition. In a strange twist of fate Vera Clouzot died only a few years after the film was made of a sudden heart attack! October 25, 2012 by Lucas Jones.